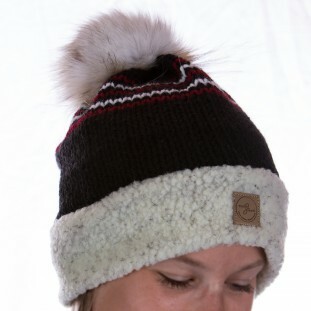 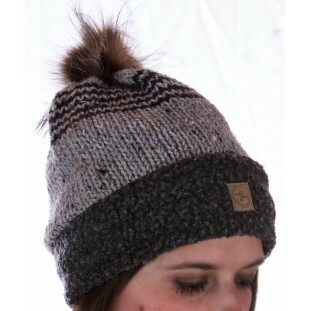 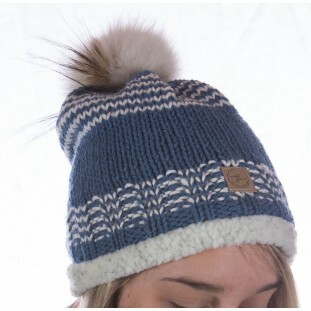 Our toque - LA PARFAITE IMPARFAITE - is made of acrylic wool lined with micro-polar with a border of faux sheep fur (berber) and a (crazy!) 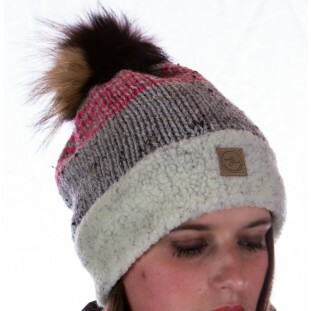 recycled fur pompom. 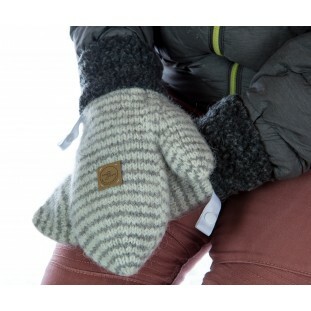 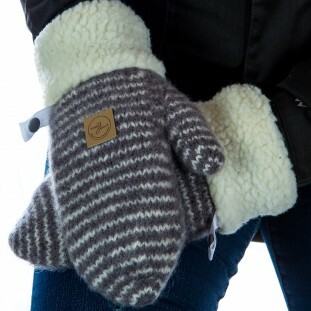 Hand-knitted, our 100% sheep wool mittens with recycled fur or faux sheep fur wrists are lined with micro fleece and Wind Block. 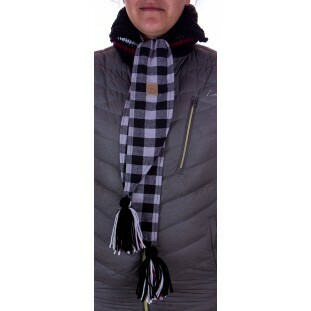 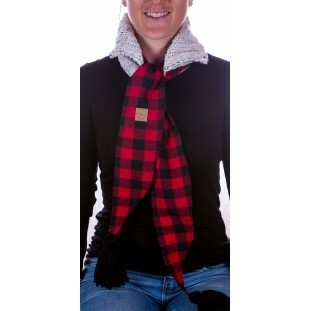 Our plaid scarves, with a hand-knit collar, are warm and comfortable.They are available in two colors: red/black plaid and white/black plaid. 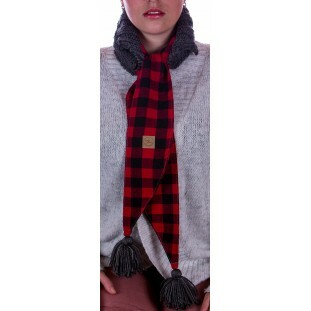 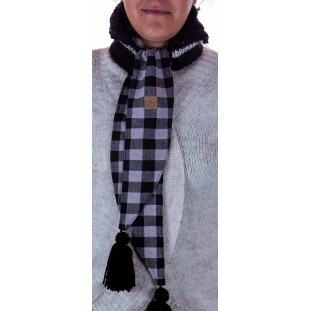 Our plaid scarves, with a hand-knit collar, are warm and comfortable. 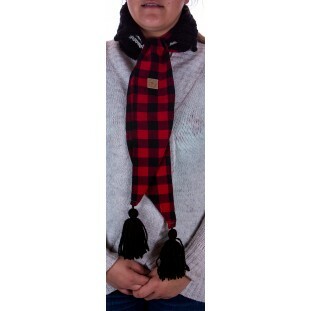 They are available in two colors: red/black plaid and white/black plaid. 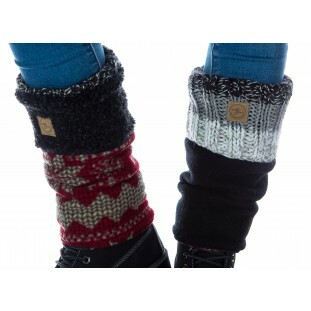 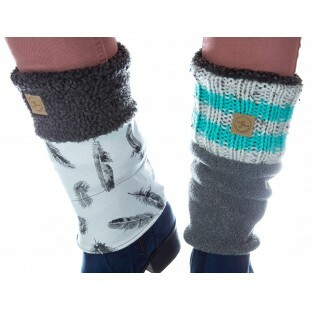 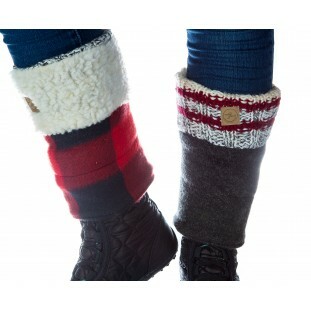 Our leg warmers are reversible. 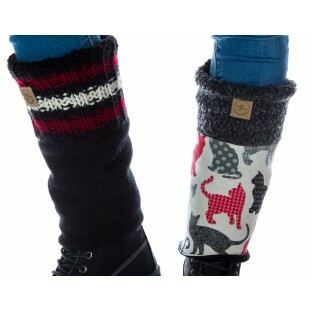 The borders are made of faux sheep (berber) and knit. 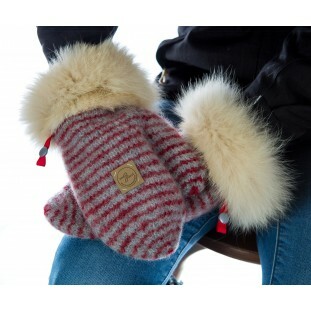 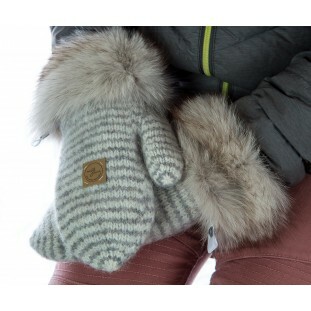 The legs are made of micro fleece and cotton knit. 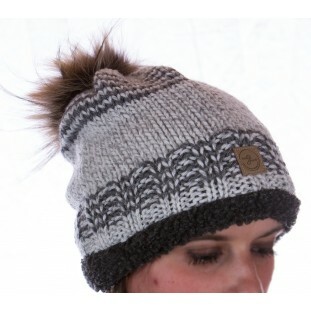 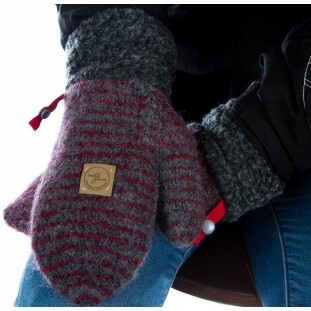 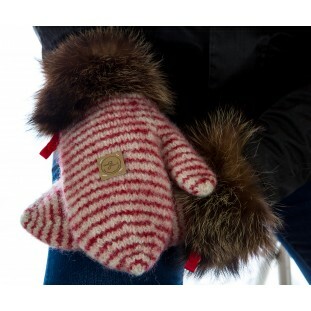 Our 100% Quebec made knitwear products are exclusively handmade and therefore unique. 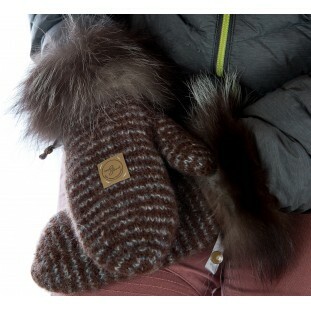 The fur and leather we use are recycled materials. 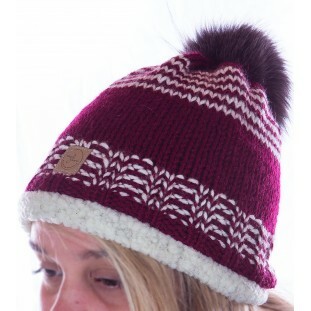 Legal notice: All rights with regards to knitwear found on this site, including photographs, illustrations and images are the sole property of Tricoté Serré, and of the owners of the intellectual property rights. 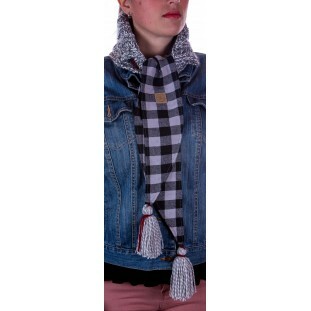 Any use, reproduction in electronic format or in print in whole or in part of this material is stricly forbiden without the express written consent of the intellectual property rights owner. 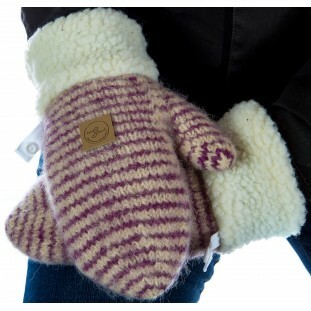 Important: Reproducing or reusing the content of this website, including the images and the actual knittwear models and designs on any support and use of or allusion to the Tricotté Serré brand name in publications, publicity or any other commercial form is stricly prohibited and exposes offenders to criminal and civil actions.Our products are only sold online and at craft fairs listed on our Events page.